I love it when I get nominated for these blogging award memes, they always are such fun to spread on. Today’s nomination comes from my friend Katja, aka ImpossibleGirl123. I really suggest you check out her blog, which you can do by clicking on her online handle. You want to get the latest on anything Doctor Who, TV or movie-related, she’s your girl. I once made a joke that I eloped with the ghost from the Ring movies and some people actually thought I’d gotten married. It was hilarious! I’ve tried playing the video game Outlast, but it’s so terrifying, that every time I do I end up shaking by the end of it. So there is something that scares me. Sometimes I find myself rocking out to Tailor Swift. Not sure why, but her songs are so damn addicting! I sometimes worry that despite my best attempts to advertise and get people to read my books, my small book sales are a reflection as either a writer or an advertiser. And when those thoughts are in my head, they’re sometimes hard to shut up. The biggest complaint I’ve had with Snake is that it’s ultra-violent. Considering that I wrote it while being heavily influenced by slasher flicks, that makes sense. Still, I wish the violence wasn’t such an issue with readers. I read too much manga. I love it, but it’s sometimes so many volumes per week and I’m trying to get through them all when I have such little time to read to begin with. Maybe with this trip to Germany I can break the habit and devote more time to reading less manga and more regular prose fiction. God knows I’d like to read the new Anne Rice, Robert Gailbrath, and a few other things on my Kindle. I recently came to realize that some of my experiences with ghosts may have been the result not of anything supernatural, but of sleep paralysis, a condition where a subject is half-awake but still dreaming, which causes a very powerful waking nightmare, which is why I thought there were ghosts or spirits in my room. Still, that only accounts for half the experiences. The other half is open to debate. 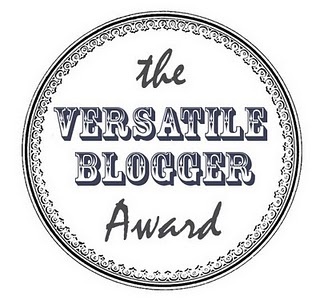 Thanks everyone for reading, and thanks again to Katja for nominating me. I can’t wait to hear what everyone else writes! Any time, and you’re welcome. 4. Is something we all worry about my friend. Shake it off as your very own Taylor Swift says! That’s good to know. Thanks Angela. Maybe I’ll try and dance like that dog in the image you showed me. He’s a happy go lucky pup we could ALL learn something from! Rami, thank you so much for nominating me! Interesting facts about you! Thanks Dellani. I can’t wait to read your blog post on it. Should be interesting. Congrats and thanks so much for the nomination! I have always wanted to read manga but alas I am poor and it is sooo friggin’ expensive 😉 I have thumbed through a few “scanlations” on line – like the final chapter of Ghost Hunt, for instance, that the anime does not cover, but I tend to stick to anime. Love me some anime. I don’t usually do the scantalations. It’s the whole not-legally-translated that gets me sadly. Otherwise I’d have read a few rom-coms that aren’t available in the States. I liked your post. I’ll post a comment in a moment.